Sliding glass door moments. These are just a couple of minutes in a relationship and this is where trust is built and how it is kept. For example, you come home after a long day at work and your partner wants to talk to you about the children. You can simply say I am tired and walk away or you can stay and listen to your partner. This may not make a huge difference at the time but in the long run it will. Contribute regularly to your emotional bank account. The small things can make a big difference. Your partner will notice. And, contribute with a smile. Remember, it's not what you say it's how you say it. Complain don't blame. This means don't criticize one another. Learn to have a discussion about your problems. This also means don't get defensive. Learn to accept responsibility for your behavior and control your defensive behavior. Tell your partner how much you love and appreciate them. Regardless of your love language, we all need to hear this. No one ever gets sick of someone telling them they love them or how much they appreciate them. The more specific you can be the better. Take care of yourself. This means get plenty of rest, make good food choices and exercise regularly. Take breaks during the day and don't be too hard on yourself with your internal voice. It's true we need to take care of ourselves before we can take care of others. Develop empathy. Don't just listen to your partner, listen to your partner with empathy when they share a stressful event that happened at work. Your partner will feel like you really care about them. Accept influence from your partner. Try out your partner's ideas with enthusiasm. This is really good for your relationship. It also keeps the relationship on equal ground. This is very important in a relationship. Manage mobile technology. The next time you have dinner together leave the phone and mobile gadgets behind. Spend time talking to one another. Ask questions and take a genuine interest in what you partner has to say. Mobile technology will always be there. You can go to it at another time. Be willing to work at your relationship. All relationships go through highs and lows. This is to be expected. Try and work things out. Don't jump to conclusions. It's alright to agree to disagree. Support your partner's dreams. It's easy to forget about your dreams when you are in a relationship. Work, the house and the children tend to take over. Tell your partner what your dreams are. Maybe, you want to take a night class or travel to an exotic place. Your dreams don't have to be the same, but you do need to be supportive of them. 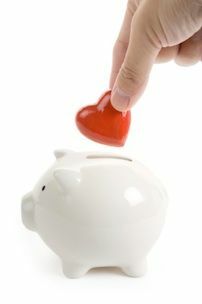 Just as it's never too late to deposit into your savings account, it's never to late to deposit into your emotional bank account. So, start today.